Need to pick a name randomly? Try Flippity.net's random name picker. 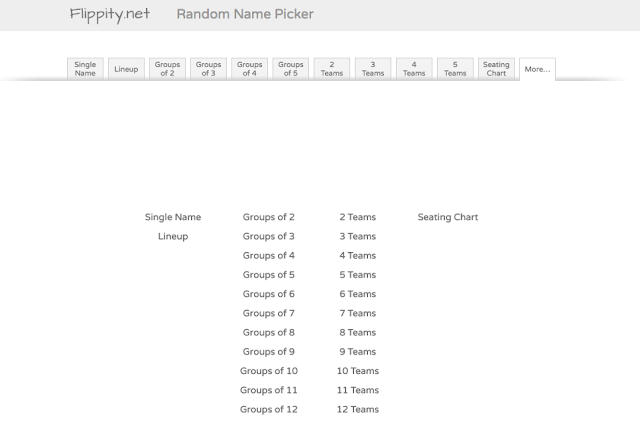 Flippity.net's Random Name picker can not only randomly choose a name from a set of names, but it can create teams of 2-12, groups of 2-12, as well as make a seating chart and a lineup. 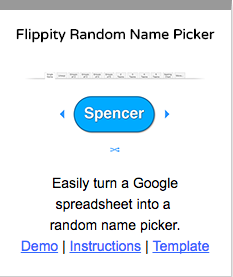 The 2 minute and 3 second embedded video below will walk you through how to use Flippity to make a random name picker.